I was recently sent some Biore products to try out, I was going to wait a while and test these out fully to give them a chance to work their magic but after having a little bit of a breakout last week, this particular product literally worked wonders so I thought i'd share it with you now. 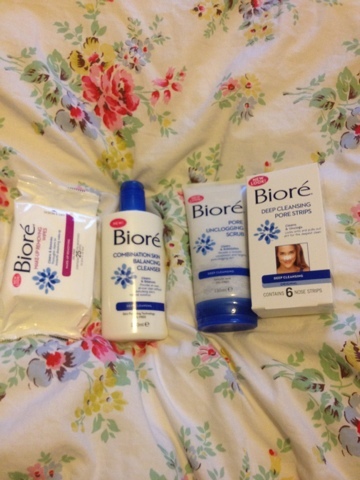 Biore are a japanese brand, that I have seen around but never actually used, so I was very excited to try these out, the whole range has been re-vamped in fresh new packaging, and a few new product launches as well. I used this particular product at night and when I woke up the next morning, my skin was completely clear again, so it's entering as one of my new favourite cleansers, The product itself comes in a pump dispenser bottle, which I love, because it's just so much easier when you have a wet face to pump the product out rather than fiddling around with bottle tops. Just a small pump of this product is enough to fully clean the face, it really foams up when you start to work it in, leaving your face feeling extra clean when you wash it off. My only issue with this product, and it is a slight issue, is that it was slightly drying on my forehead so I had to put extra moisturiser on there, but, to be fair, I have very dry skin there anyway so it's not really the products fault. The cleanser is oil free and claims to "Provide an even all-over clean without disturbing skins natural moisture" which I would agree with, my skin felt very clean and the rest of my face (aside from the forehead) didn't feel dry or tight after using it, which is what normally tends to happen with me when I use clearing cleansers. I've also used this with exfoliating pads and this has been great, for giving a deeper clean, as it really does build up a great foam. 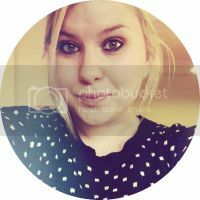 I also have quite sensitive skin which I find can get get irritated when I use any deep cleaning cleansers, but I didn't have any issues with this. The whole range has been created to deep cleanse and remove impurities that can lead to a build up on the skin, ultimately, clogging pores. I have a few more products that I will be reviewing soon, so keep an eye out for these, There's a picture below of the range I was sent, so let me know if there is a particular product you want to see a review of first. These products are for sale in Boots, Superdrug and most supermarkets and chemists and are retailing between £4.99 and £7.99. You can check out there website here for the full low down on the brand. Have you guys tried any of the new Biore range? These products were sent to me for review, all opinions are however my own. 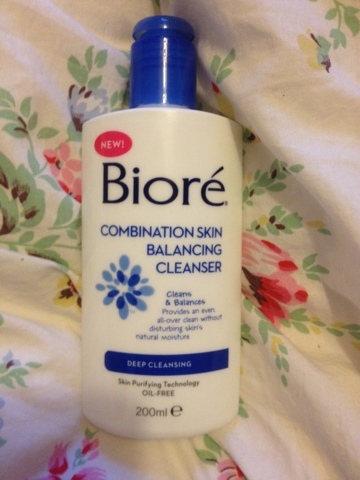 2 comments on "Biore Skin Combination Skin Balancing Cleanser"